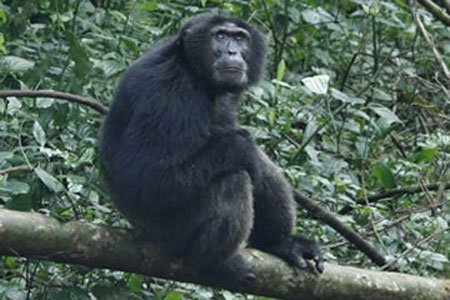 Book your Uganda safaris with reputable tours and travel company. 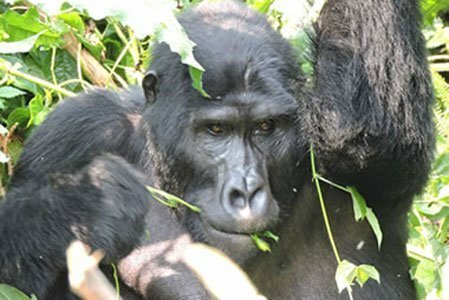 Adventures To Gorilla Africa organizes an amazing Uganda Safari experience of your lifetime. 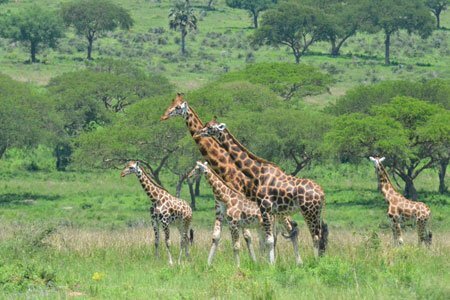 As the best safari destination in East Africa, Uganda is a land of contrasts where the African Savannah meets the tropical rain forests. 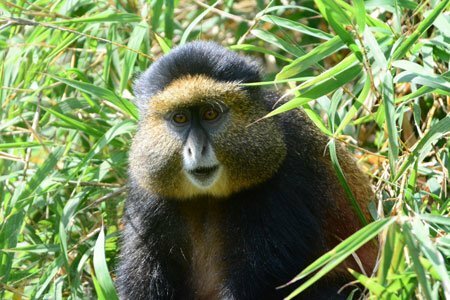 It offers the best primates and other wildlife Safari experiences in the wild, ranging from Gorilla trekking, Chimpanzee tracking to big game Savannah Safaris. Uganda is referred to as the Pearl of Africa and a multi-tribe country. 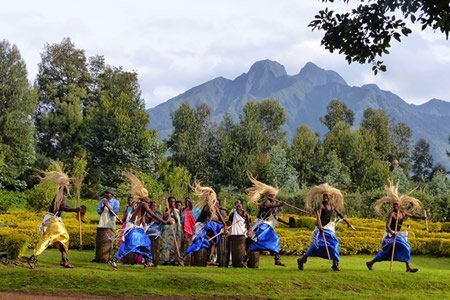 It is a home to unique culture, therefore a visit to local people and Batwa community creates an amazing experience as you learn about their lifestyle and unique culture. 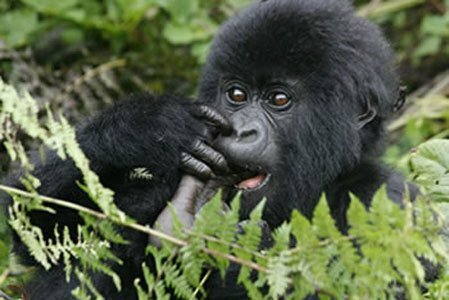 Join us to any of our Uganda safaris and Rwanda gorilla tours to enjoy a once in lifetime Safari experience. We offer many tour and safari packages which are well organized with maximum attention in order to meet the interest of every client. 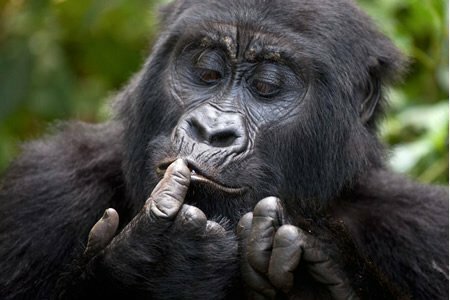 Are you looking forward to visit the endangered specie of mammal on earth which is the ”Mountain gorillas ”? 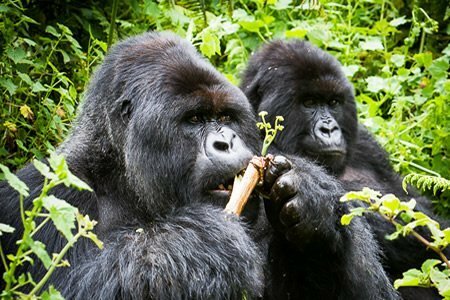 Would you like to visit them in Uganda’s Bwindi Impenetrable National Park or Mgahinga Gorilla National Park or within Rwanda’s Volcanoes National Park? 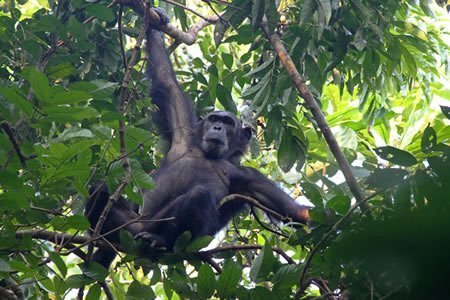 Would you like to combine a Gorilla trek with chimpanzees in tropical rain forests of both Uganda and Rwanda? Creating magical trips is our Specialty. We can combine several experiences into a single memorable holiday trip. Our Uganda safaris range from day tours to longer safaris and can depart anytime of the year. Join us for either short or long combined safari and experience African safari at its best. Luke was an excellent guide. He considered our unique needs as he guided us through Uganda and Rwanda. Basically all accommodation arranged were superb(10+). Our guide was careful with good driving skills that steers out of potentially dangerous situations, we praise him for that together with his tranquility incredible knowledge about birds, history of his country and always good at spotting animals. This will keep to our memory through this wonderful company and its team. 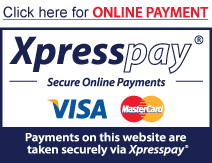 Keep up the good work and we highly recommend this company.The service was first class all the way and every thing we expected and more. We wish to send you a sincere "thank you" for guiding us through your beautiful country and all of your assistance, information plus your driving skills during our recent trip to Rwanda. It was excellently handled so invaluable to us and we all realize and appreciate it greatly. Your professionalism and efficiency was comforting and reassuring even in the 50 below wind chill environment. We wish to express our full happiness of this great trip, it was life time memory created by our guide Nixon. Everything about our trip was maximum arranged, safe driver, special skills to spot animals and birds and always helping us to reach the maximum of our holiday. 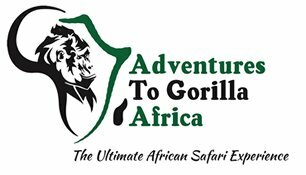 We also wish to thank the entire team of Adventures To Gorilla Africa for making good choice of our accommodation together with good itinerary. Therefore we highly recommend it to any one. we were filled with excitement and magical memories to last a lifetime at the end. Hoping to return and do this tour again with you. We look forward to vacationing again with you! We wish to express our full happiness of this great trip, it was life time memory created by our guide Nixon. Everything about our trip was maximum arranged, safe driver, special skills to spot animals and birds and always helping us to reach the maximum of our holiday. We also wish to thank the entire team of Adventures To Gorilla Africa for making good choice of our accommodation together with good itinerary. Therefore we highly recommend it to any one. we were filled with excitement and magical memories to last a lifetime at the end. Hoping to return and do this tour again with you. We look forward to vacationing again with you! 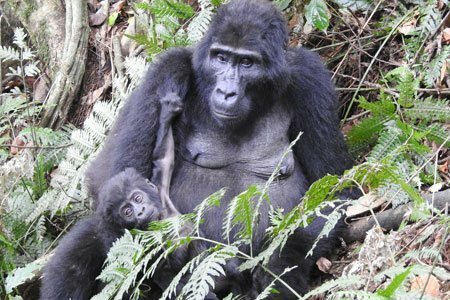 2 Days Gorilla trekking-Volcanoes National Park. 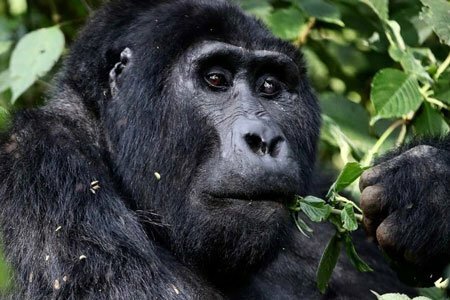 We are indigenous tours and travel operator Specialist in organizing private Uganda safaris and Gorilla trekking tours to Top Uganda and Rwanda Safari destinations. Arrange your holiday safari with us and enjoy a memorable African safari experience. We a Uganda based travel and tour company with our head offices in Kampala, we operate also in Rwanda and DR-Congo when security situations are cool. 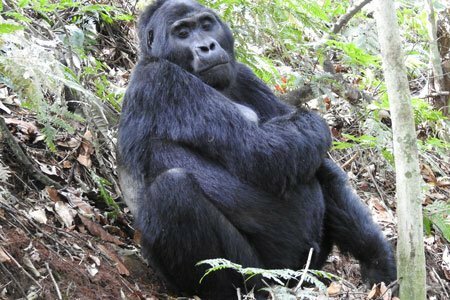 Adventures To Gorilla Africa Ltd is locally owned by experienced Ugandans who have intensively traveled leading tours and safaris of different categories. Considering our experience in this field of travel for number of years us together with our extensive knowledge of wildlife, Nature and culture of our passionate countries, we believe that we can arrange an incredible holiday safari for as your memorable experience. We offer many tour packages but we are so flexible to customize your tour itinerary in order to meet your specific interest, time and budget. 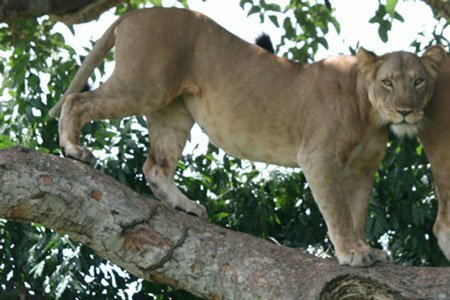 Our professional and well trained team of guides/drivers are well equipped with outstanding knowledge of nature, culture, birds, wildlife, and general history of our areas of operation hence creating the magical safari memories to our esteemed clients. 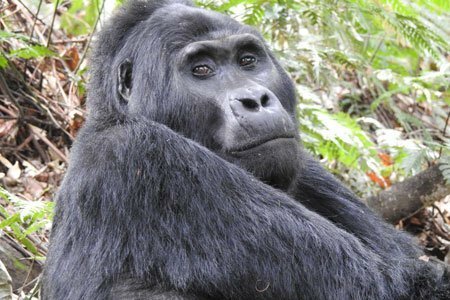 We are affiliated, licensed and hold a membership in Association of Uganda Tour Operators (AUTO).